Vitamin B12 plays a role in blood-cell formation and proper nervous system function. Are there any sources of vitamin b12 for vegans? In developed countries, before food is marketed, it typically loses almost all of its B12 content when cleaned of contaminants. This includes B12-producing bacteria. Still, it is recommended we wash our food to avoid illness. 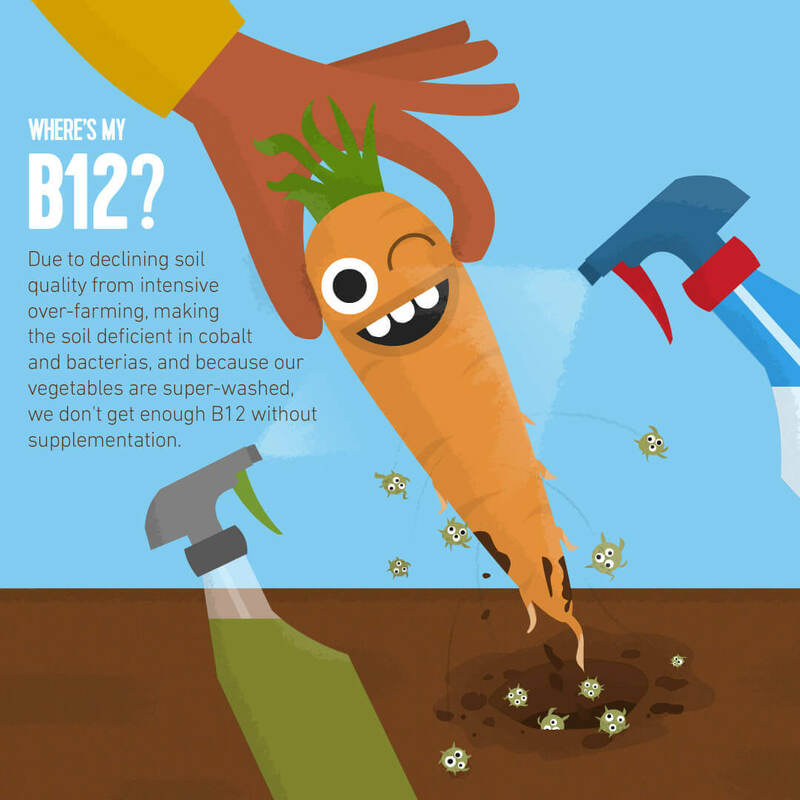 Plant foods may have some B12 if contaminated by B12-producing bacteria. Animals might get this vitamin by eating these plants or by absorbing B12 made by their intestinal bacteria. Some foods, like fermented vegetables and algae (such as spirulina), may contain B12 in unknown amounts, which means they are not a reliable source for this vitamin. How can you make sure you are getting enough B12? Fortified foods are one option, when eaten in satisfying amounts on a regular basis. B12 supplements offer a simple alternative. With either solution, routine blood tests should be taken to confirm healthy levels of B12. Vitamin B12 sources: Fortified foods and supplements. What Is Raw Food On a Vegan Diet? Why Is Almond Milk Better Than Cow’s Milk?